CasinoToken is a Bitcoin Casino which is operated by Direx N.V. and is licensed in Curacao. The casino is powered by top casino software providers such as NetEnt, Booming Games, BetSoft, SoftSwiss, MrSlotty, BGaming, and Platipus. There are many different casino games on offer, such as: Video Slots, 3D Slots, Fruit Slots, Bitcoin games, Roulette, Blackjack, Video Poker, and local Jackpot games. A wide selection of online casino games from different operators. Sign up* for a casino account at CasinoToken and you will receive 10 No Deposit Free Spins. *Unfortunately, players residing in the following countries are not eligible for No Deposit Free Spins: Afghanistan, Albania, Bulgaria, Belarus, Croatia, Hungary, Israel, Lithuania, Latvia, Moldova, Pakistan, Romania, Serbia, Slovenia, Slovakia, and Sweden. Deposit a minimum of €/$20 to receive your welcome bonuses. 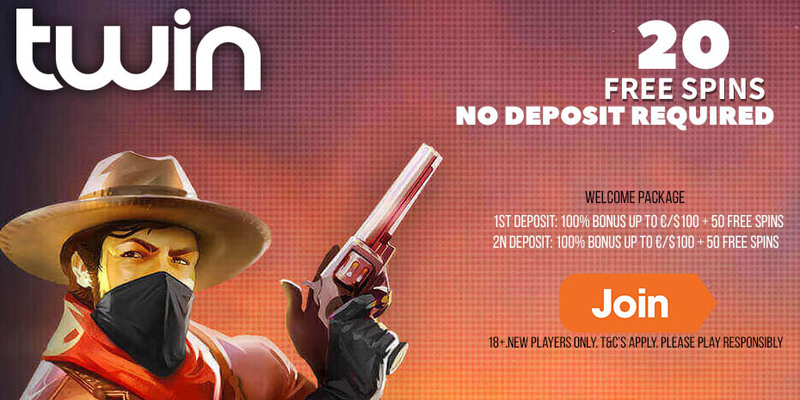 The wagering requirement is 50 times and must be fulfilled in 7 days for deposit bonuses. The maximum amount that can be won from Free Spins is €100 or equivalent. Players from these countries are restricted from opening an account at the casino: UK, USA, Denmark, Spain, and France. Afghanistan, Albania, Bulgaria, Belarus, Croatia, Hungary, Israel, Lithuania, Latvia, Moldova, Pakistan, Romania, Serbia, Slovenia, Slovakia, and Sweden. Different games carry different weightings towards fulfilling wagering requirements: Slots & Jackpots contribute 80%, Poker 10%, Video Poker 10%, Baccarat 10%, Roulette 10%, Blackjack 10%, Bingo & Keno 50%, Lottery 20%, Virtual Racing 20%, Scratch 50%, others 10%, Live Dealer 20%. The deposit options at CasinoToken are: Visa, MasterCard, Qiwi, Skrill, Cubits, Bitcoin, Neteller, Paysafecard, Zimpler, Bank Transfer, Wirecard, Sofort, and Yandex money. You can deposit using the following currencies: USD, EUR, GBP, NOK, SEK, AUD, CAD, RUB, and BTC. English, Finnish, Swedish, Turkish, Norwegian, Russian, German, and Spanish.